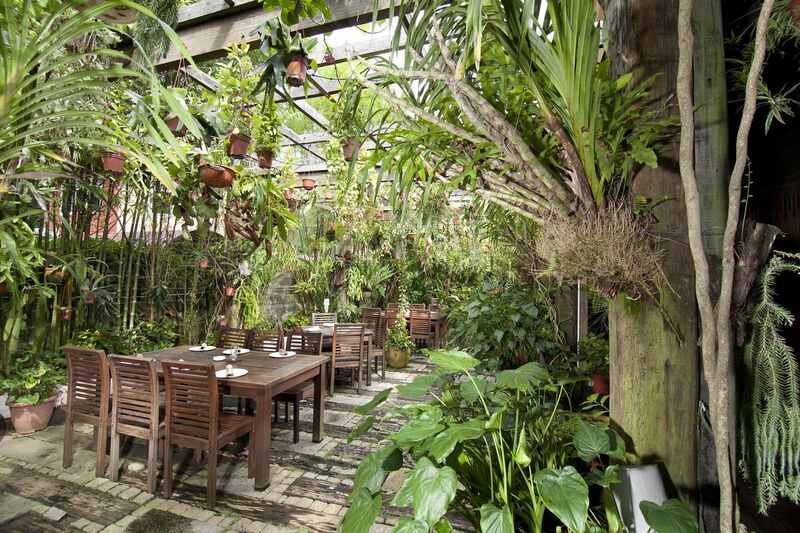 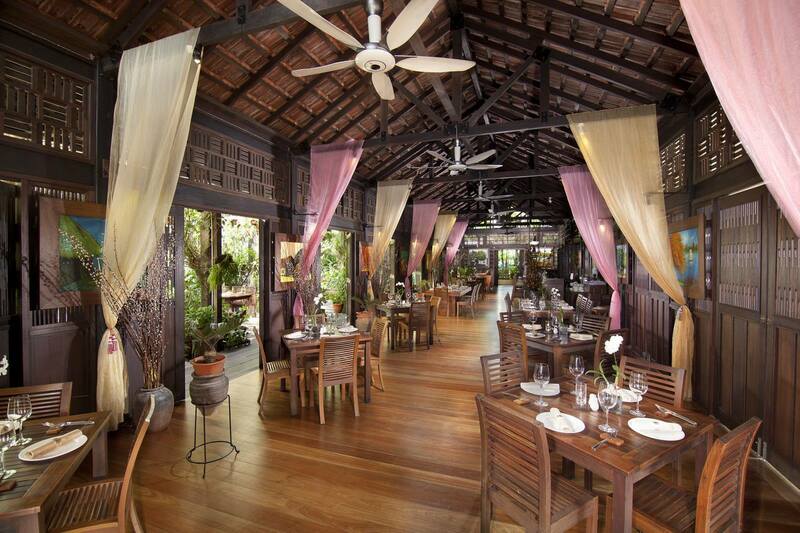 The “Longhouse” is one of the five themed spaces in the 400-pax Ferringhi Garden Restaurant in Batu Ferringhi, a long stretch of beautiful beach on the Malaysian Penang Island. 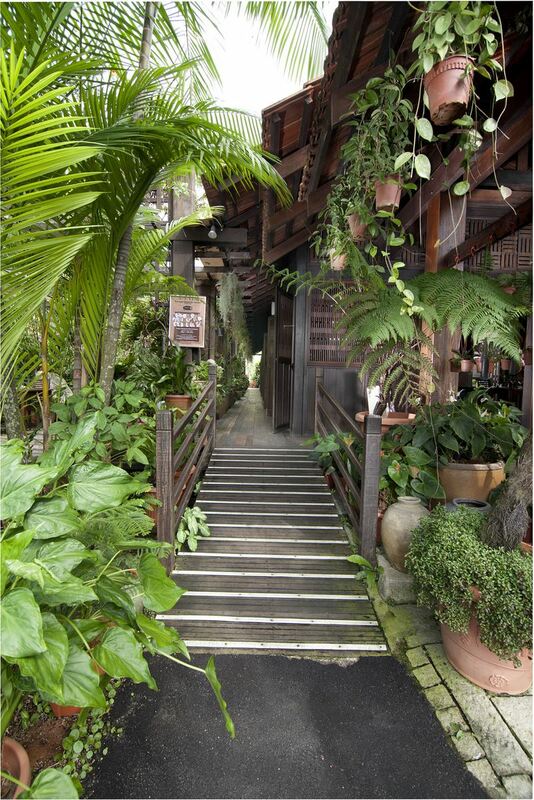 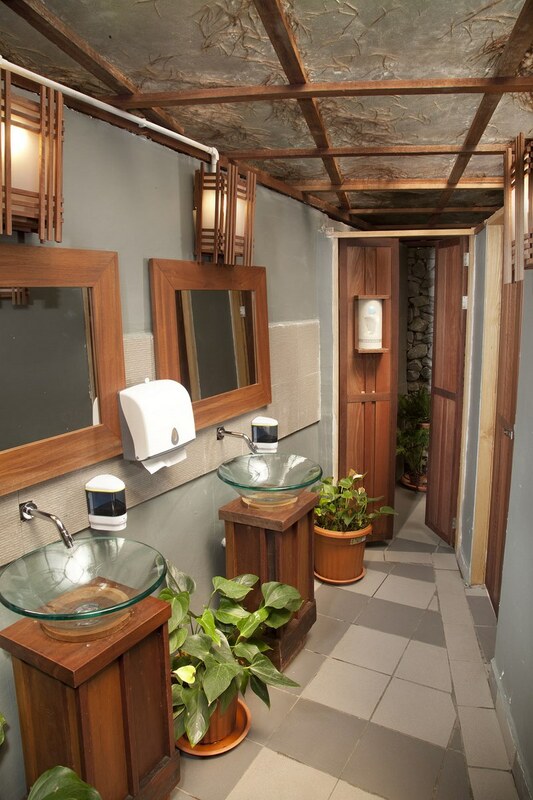 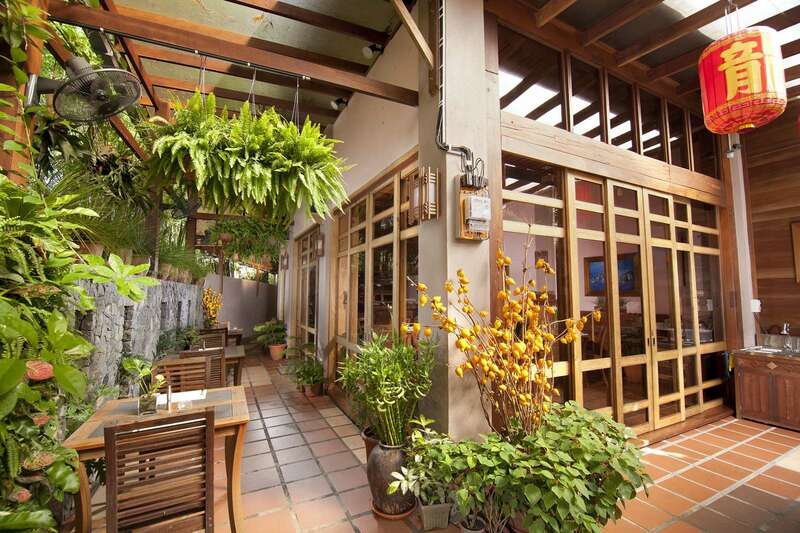 Named after its owner Richard Long as well as in direct reference to the native longhouse in the East Malaysian state of Sarawak, it is another property that is completely built from recycled materials, predominantly timbers sourced from old warehouses and schools. 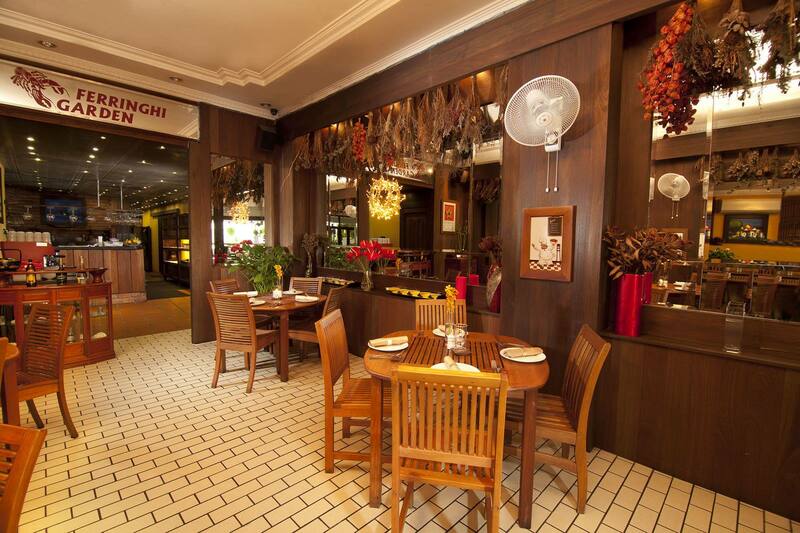 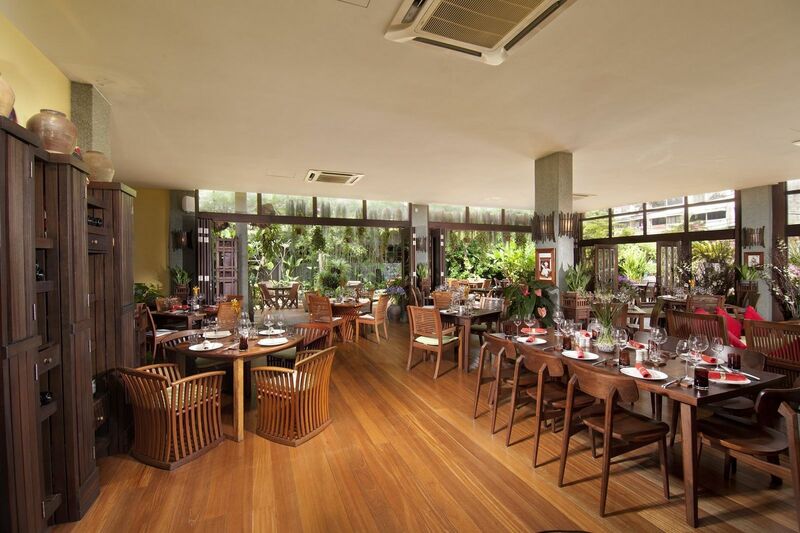 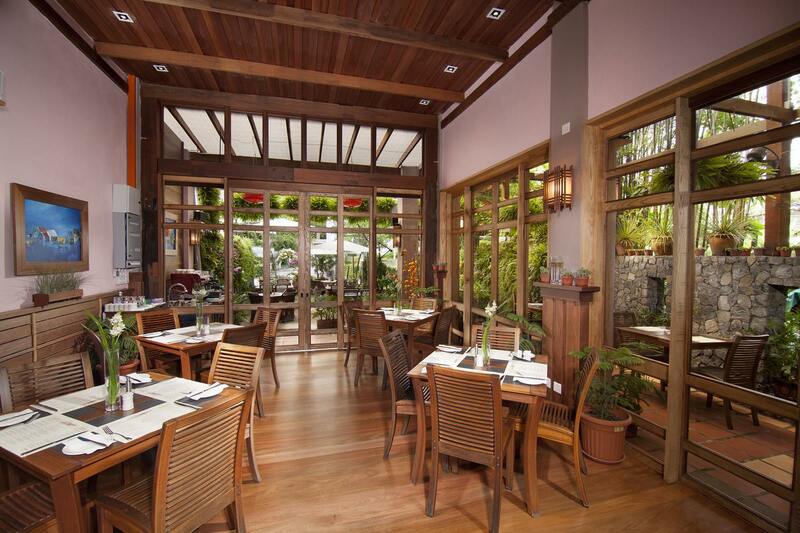 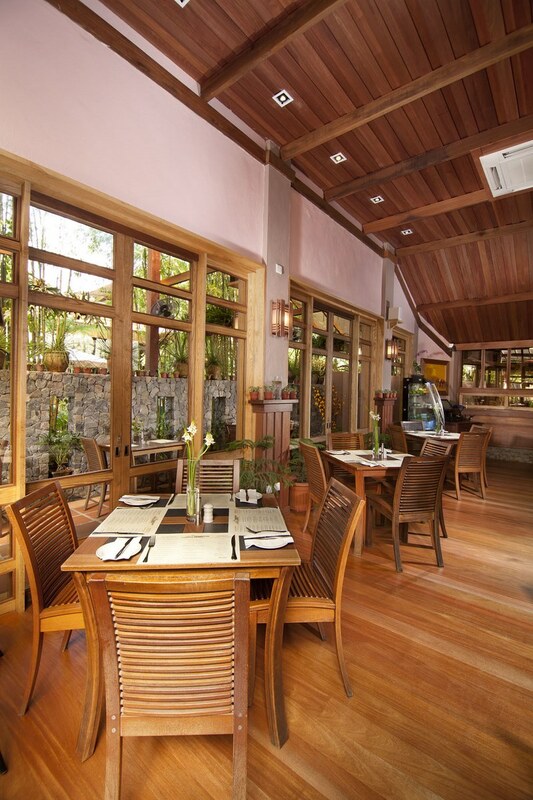 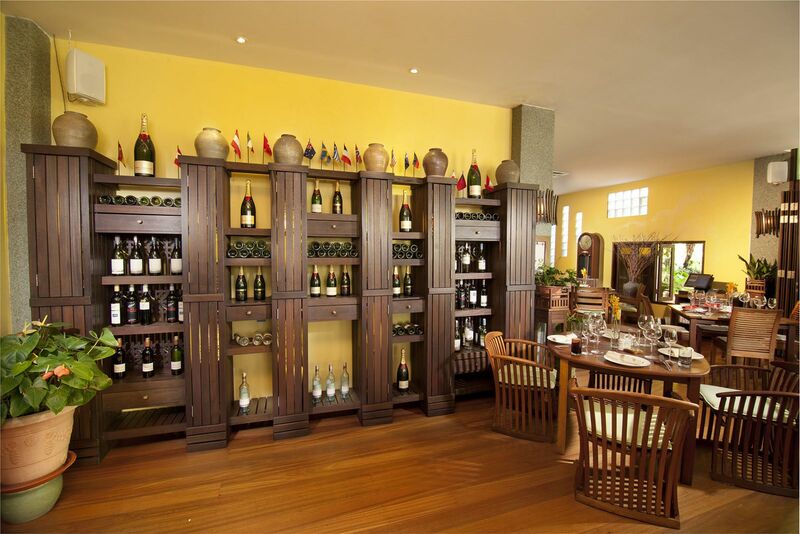 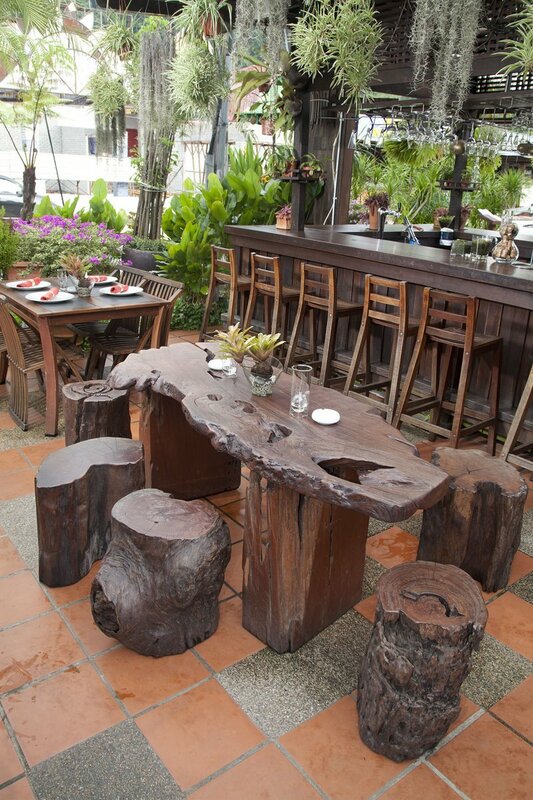 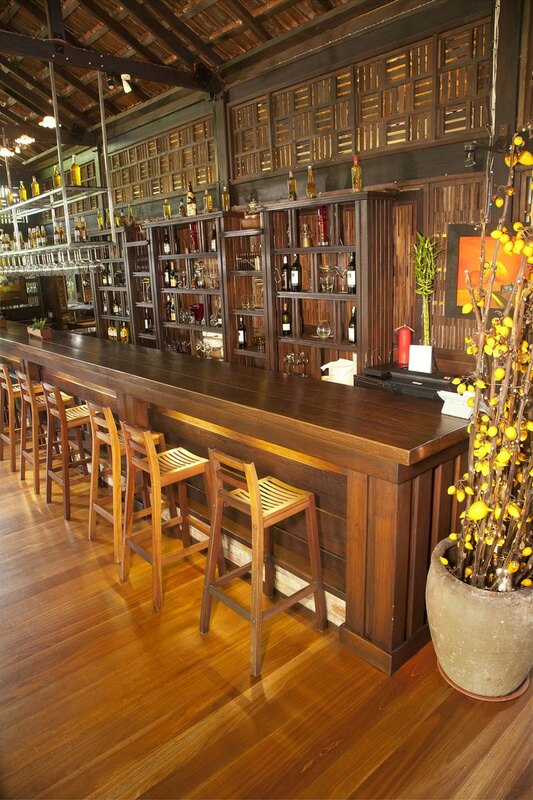 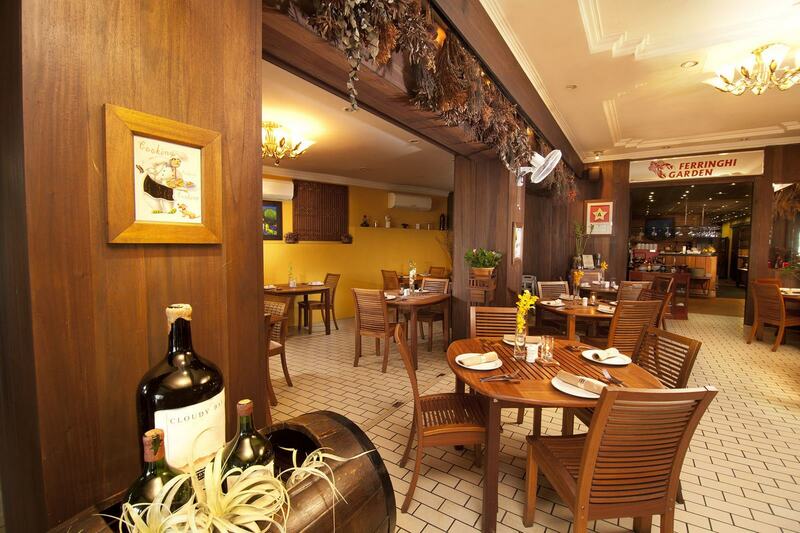 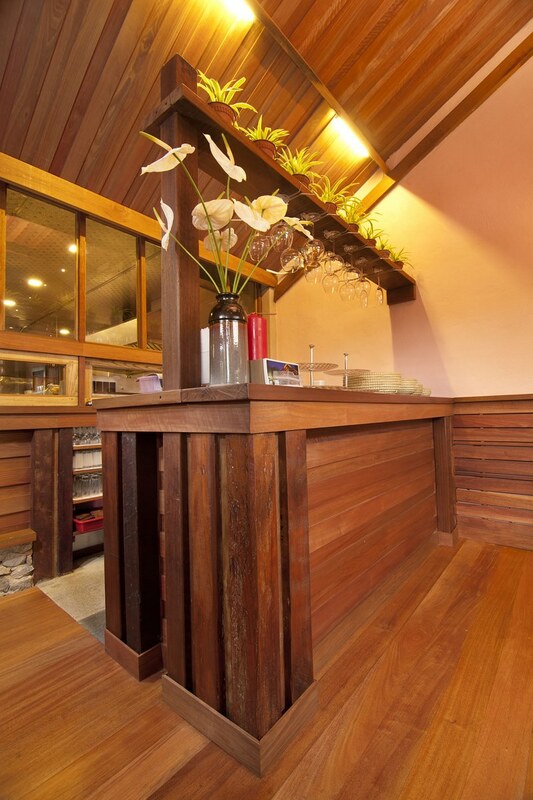 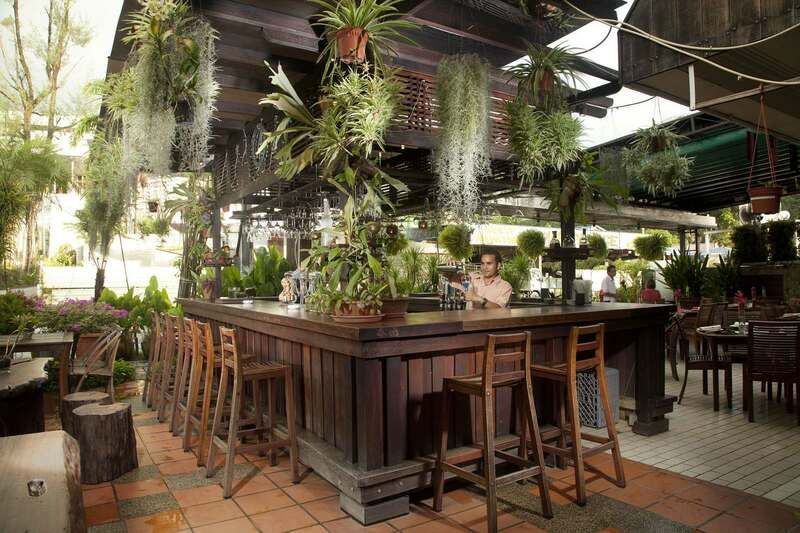 One hundred and fifty tons of recycled Merbau had been used to build the restaurant. 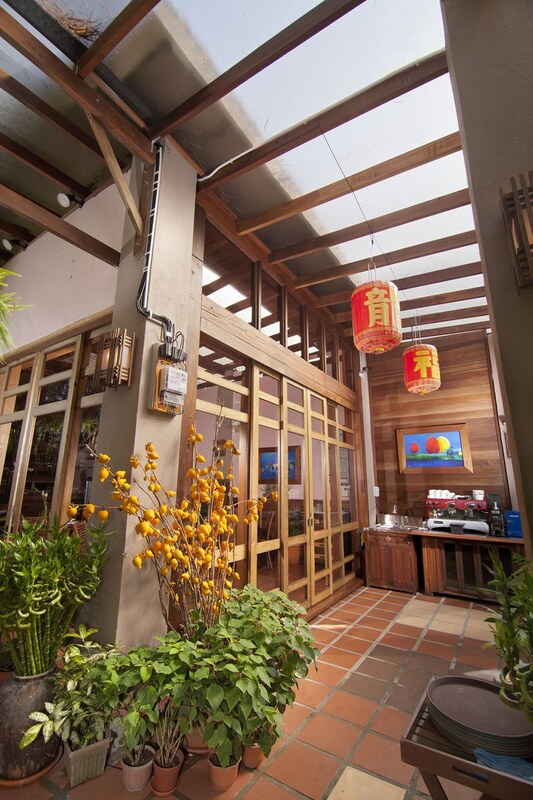 Even the terracotta roof tiles are recycled. 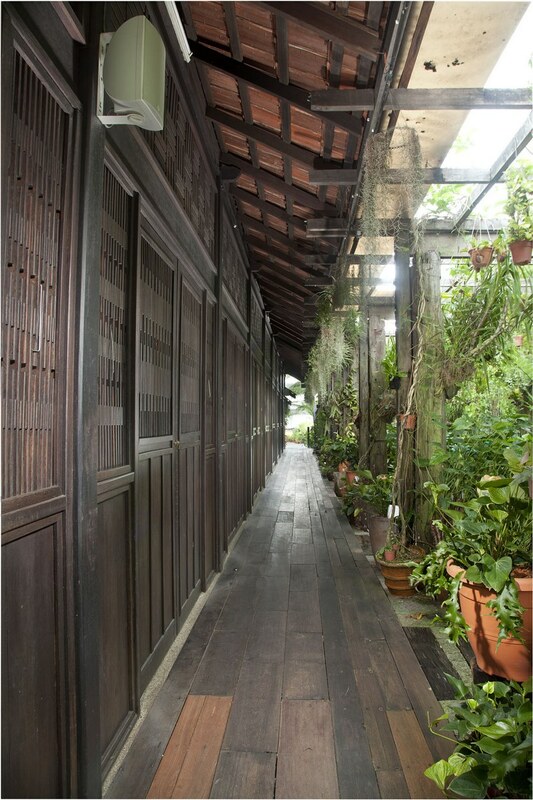 As the name suggests, the Longhouse is a long, one-room space with exposed timber trusses, beams, battens, flooring, and panelled walls and doors. 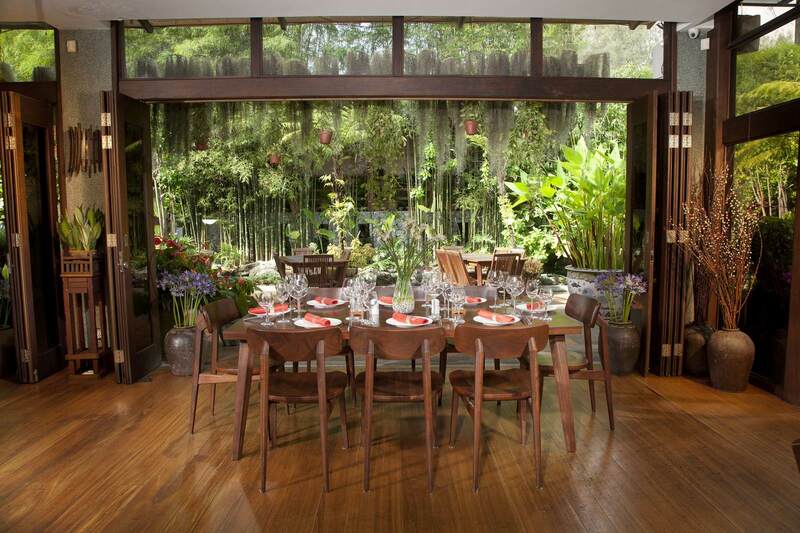 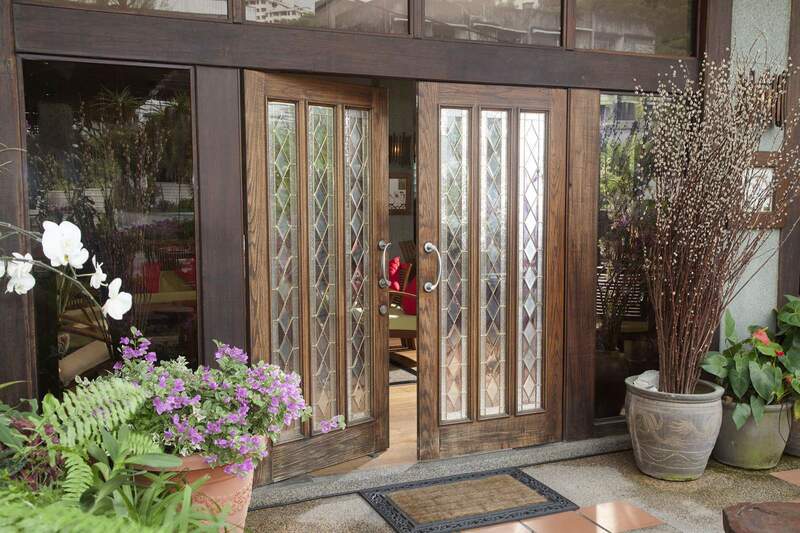 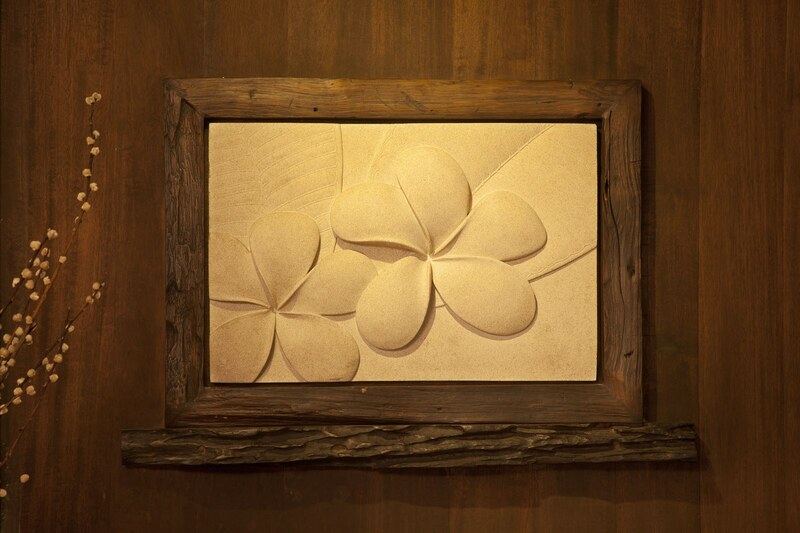 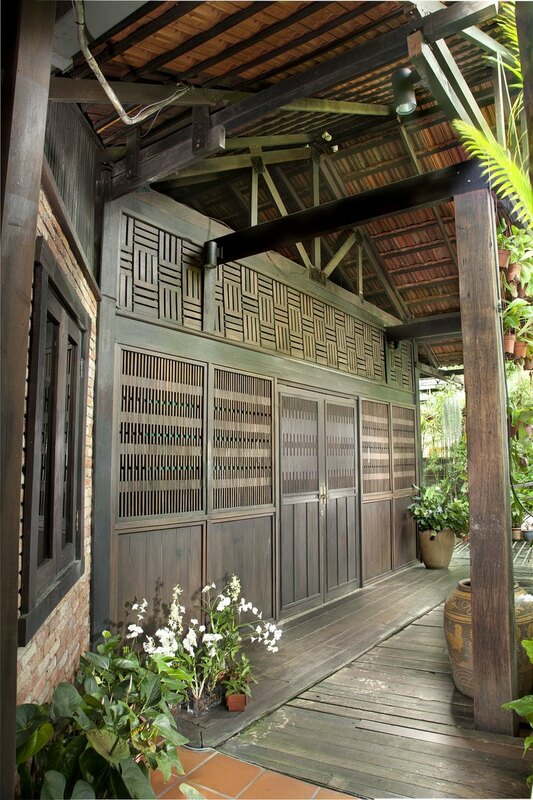 The most interesting features of this space are the timber panels and doors featuring various symmetrical designs. 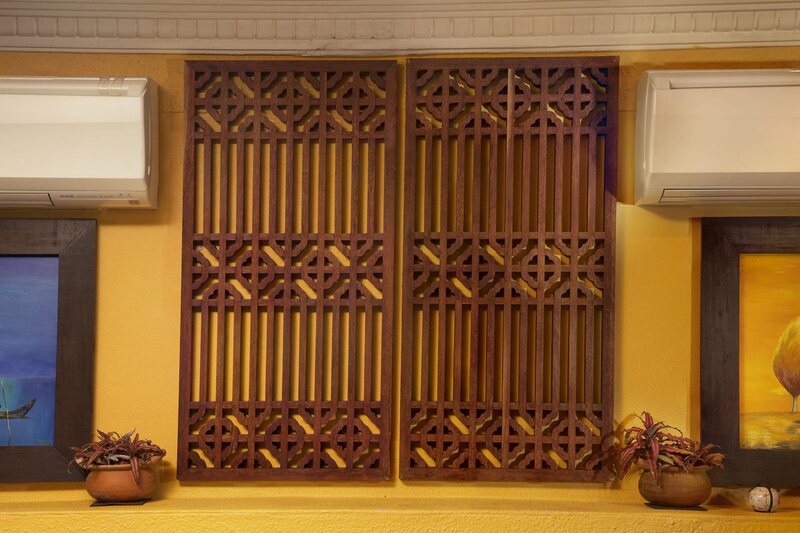 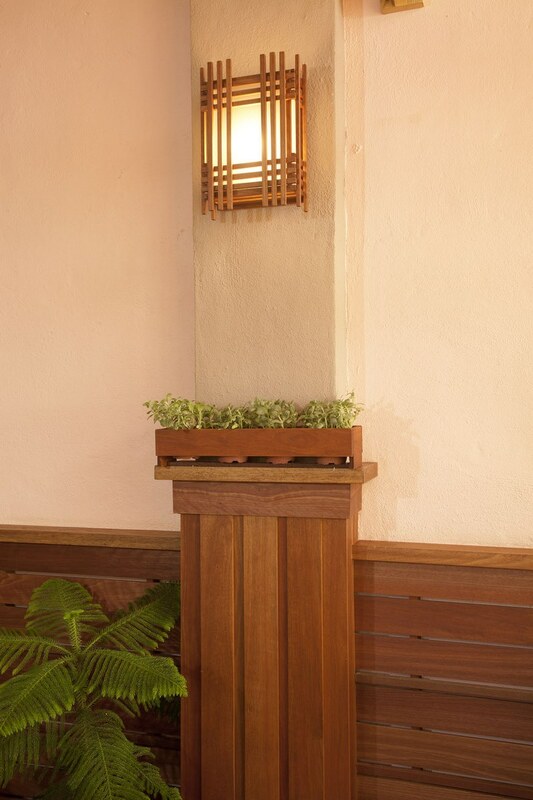 The parquet pattern on the upper part of the wall came from the floor of a demolished school while the vertical pattern in the middle was newly created to mediate between the top and the bottom panels. 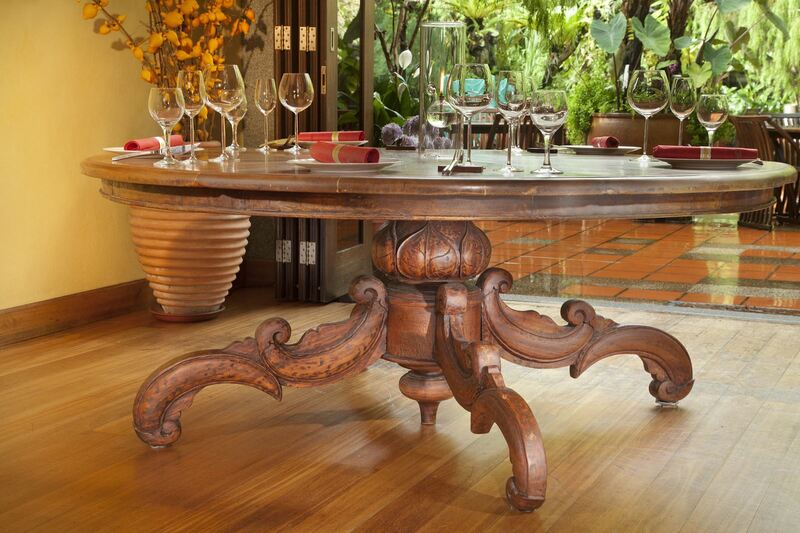 All these had been skillfully composed into an intricate yet harmonious design and stained to a consistent finish. 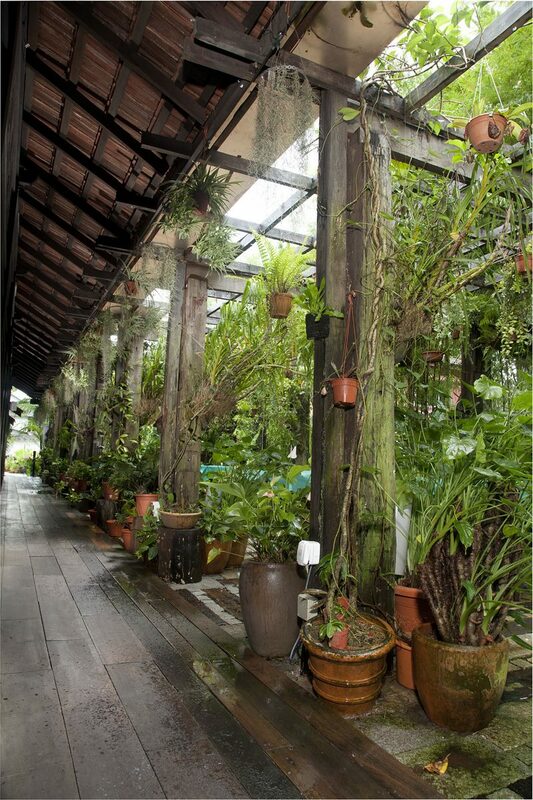 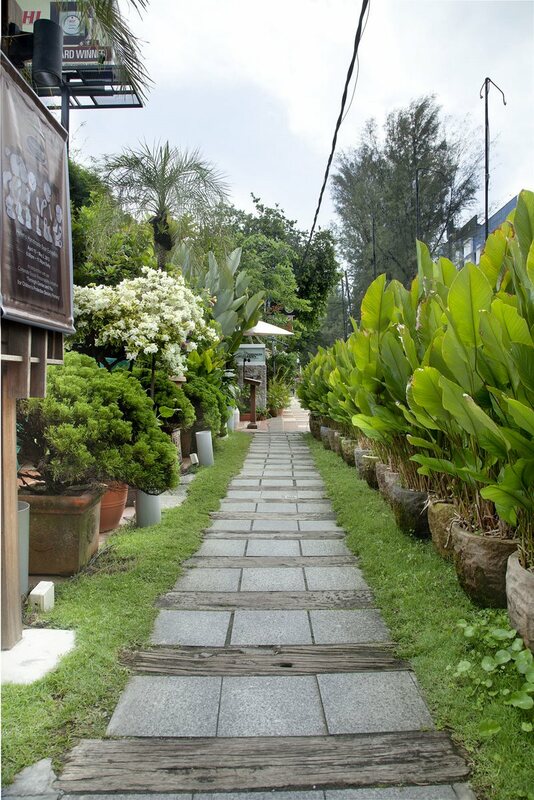 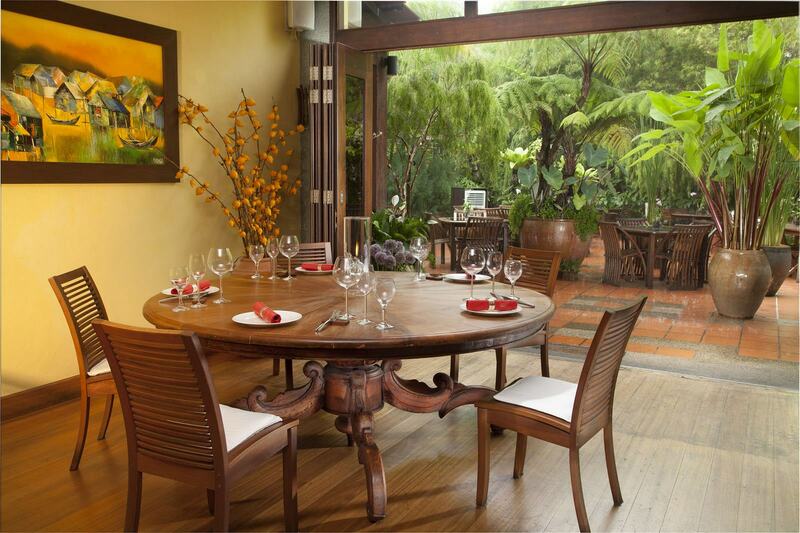 A verandah runs the full length of one side of the Longhouse, which opens to a lush, well-cultivated garden.